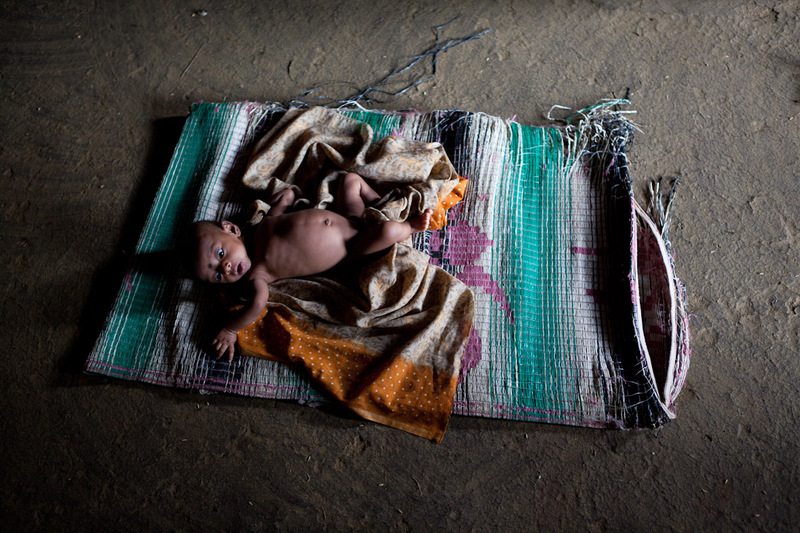 A baby girl lies on the cool floor of her family's hut. She is the daughter of farmers who must sell their meager millet harvests for a pittance. The money they earn will buy medicine and other necessities at the expense of their food stores.